1911s and the "Thumb-High Hold"
Take a look at all the professional shooters out there, all of them, and I mean ALL OF THEM, shoot with a thumb-high hold. A lot of people don't like the 1911, and just can't understand what all the fuss is about. Even more people love the design. From the number of companies making 1911s today, over a hundred years after it was introduced, people aren't just staring at them in gun stores, they are buying them. Even someone who failed statistics should be able to figure out that a lot of the people buying 1911s today are new to the design- there are just too many of them moving off the shelves for things to be otherwise. As great as the 1911 is, its design and method of operation is different enough from most other pistols out there that I wouldn't be surprised if a lot of new 1911 owners just aren't aware of how to properly operate the gun. The 1911 is a single action design- if the hammer isn't cocked, you can pull the trigger all you want and nothing is going to happen. The fun begins once the hammer is cocked. 1911s are equipped with manual "thumb" safeties which can only be activated once the hammer is cocked. Flick it up and the safety is on, down for off. That safety is right at thumb level, and most 1911s today feature thumb safeties bigger than the original GI design, so your thumb is going to have to go below it or above it. 1911s should always be fired with the thumb of your shooting hand atop the manual safety- the "thumb-high hold". There are two very specific reasons for this. The first is the most important- if your thumb isn't on top of the safety, there is a very good chance that, during recoil while shooting, your thumb will bump the safety up unintentionally. At the range this is annoying, during a life-or-death confrontation on the street it could mean the difference between life or death. This is not some opinion I formulated while watching the Matrix movies, Jeff Cooper was advocating the thumb-high hold when I was still in diapers, and he knew a few things about 1911s. Over the last 20 years I don't know how many times I've seen shooters not using a thumb-high hold accidentally bump the safety up on their 1911 during firing. The second reason to put your thumb atop the safety is that it forces you to choke up on the pistol, and this allows for better recoil management and quicker recovery between shots. 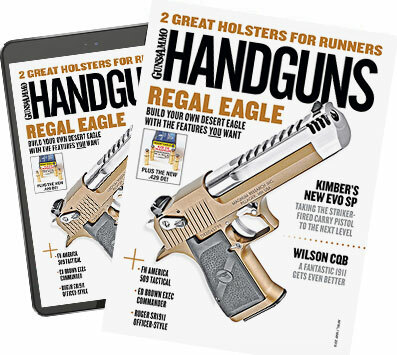 After over a decade of shooting and carrying nothing but 1911s I now shoot everything with a thumb-high hold, and I've found this helps control the recoil of all types of pistols, even those without manual thumb safeties (such as Glocks). The thumb-high hold does tend to pull the web of a shooter's hand off the back of a 1911, which is one reason why aftermarket manufacturers of beavertail grip safeties started putting a bump at the bottom of the safety- to ensure it would be deactivated when the shooter had a firing grip on the gun. Still don't believe me? Take a look at all the professional shooters out there, the ones who take a hit in the wallet if they don't win. All of them, and I mean ALL OF THEM, shoot with a thumb-high hold.